During the last leadership election Ann Widdecombe was furious to learn that a Christian MP was backing Michael Portillo. Michael Portillo’s social libertarianism was beyond her pale – as, four years earlier, Michael ‘something of the night’ Howard had been. A few weeks later, when the race was down to two contenders, she had announced her support for Ken Clarke. Pro-life Ann was backing the former Health Secretary who had presided over 1990’s relaxation of Britain’s abortion laws. I made the mistake of accusing Miss W of inconsistency. How could she be furious with a Christian MP for backing Michael Portillo, I asked her, when she was backing pro-abortion Ken over pro-life IDS? I was lucky to escape the confrontation alive. My expose of the contradiction was not welcomed. Miss W’s calculated pragmatism was trumping an uncompromising interpretation of principle. Miss W was backing Ken because he was a winner, she insisted, and IDS was not a winner. You don’t have to be against abortion to be worried at “record rates of abortion”. Supporters of abortion recognise that terminations of pregnancy are often very traumatic for women. Much evidence links abortion with subsequent depression, infertility problems and other medical conditions. Hillary and Bill Clinton, staunch defenders of Roe versus Wade, always talk about abortion being “safe, legal and rare”. “Rare”. How can Britain make abortion rare – or, at least, reduce the number of abortions? It is a legitimate question for Liam Fox to answer given that he has had the courage to raise the issue. It is a question that other candidates could be pressed on, too. David Davis has a consistently pro-life parliamentary voting record on abortion, cloning and euthanasia. I don’t know where David Cameron or Malcolm Rifkind stand on abortion. Abortion numbers could be reduced without altering a woman’s ‘right’ to an abortion. I personally favour introducing a policy of full-informed consent that would educate the expectant mother about the reality of the baby growing inside her and the risks of termination. I think a 24 to 48 hour cooling off period should exist between requesting an abortion and being granted one. Australia’s policy could be a model. Such a policy would not remove a woman’s right but, along with best practice in medicine generally, it would allow her to make be more aware of the medical implications of her decision. "David Davis has a consistently pro-life parliamentary voting record on abortion, cloning and euthanasia." Am I missing something Coffee Monster but I can't see DD's name on that list? Or are making a point I haven't understood? He's the 4th MP on the list. 1 of 5 tories voting aye. Davis has backed euthanasia in the past. Clarke is opposed to it, but supports abortion (although it remains to be seen whether he supports a reduction in the time limit). Cameron has made strong comments against abortion as, you noted, has Fox. Rifkind's position is not well known. Your recommendation of a 48-hour cooling off period doesn't make much sense given that it would normally take longer than this between the time a woman books an abortion and undergoes it. Most European countries with such a period have 7 days (such as France) and is something that our country should certainly study. I stand corrected Coffee Monster. A very disappointing vote. Repeated polling shows that the majority of people in this country want abortion to be restricted. In terms of building a consensus on this issue, everyone would agree that women have an absolute right to full information about the development of the baby and what abortion does to their child. It is one of the greatest ironies of the "pro-choice" position, that all the abortion agencies present abortion in a euphemistic manner which prevents women making a properly informed choice. If women are being directly referred by a pro-abortion GP to a pro-abortion organisation that carries out abortions like Marie Stopes or the British Pregnancy Advisory Service, how can these organisations provide support given that their raison d'etre is that abortion is an every day procedure, they support abortion up to and including birth, they are run on the basis of maximising the numbers of abortions, and hold the view that abortion is just a means for women to control their fertility? Everyone would also agree that no woman should be pressurised into an abortion. But what help is available to women who are distressed, confused or under emotional or financial pressure to seek an abortion? These women should clearly be helped to continue with pregnancy. How many of the 200,000 abortions a year fall into this category of women being forced by circumstance to terminate the life of her child? And how many of these 200,000 are free choices of women? Can either compulsion to abortion or a free choice when that choice terminates the life of a highly developed child (even as early as 12 weeks) be acceptable? There are many pro-life libertarians who oppose abortion. It depends upon the individual rights - is a free woman obliged to carry a child she does not want or does the unborn child's right to life over-ride the woman's right to control her own body. I take the latter view as libertarians4life. This is a timely blog Tim. On 10th October the House of Lords will be debating its Select Committee's report on the Assisted Dying for the Terminally Ill Bill, which sought to legalise both euthanasia and physician assisted suicide. That Bill fell when the General Election was called, but it is widely anticipated that there will be a new Bill in the House of Lords before Christmas. We can expect lots of media coverage of this, and it would be good to see a well-informed and vigorous debate here on ConservativeHome. As far as Liam Fox's position is concerned, his views on abortion are well-known. At Shadow Health, he spoke out against cloning. He is also opposed to euthanasia, although I don't know if there's a public record of that. I'm broadly against abortion but don't think the answer is to limit the right of individuals to make their own decisions, surely libertarians should believe in the right to choose? I think Fox might have the right idea by isolating ways of bringing the number of abortions down. This requires better education, both in pre and post coitus, as well as better adoption services and counselling for women who get themselves into trouble. Wasp, the woman's right to choose is reliant on the foetus having no right to life. If you believe that the foetus is a living human being, abortion is murder. 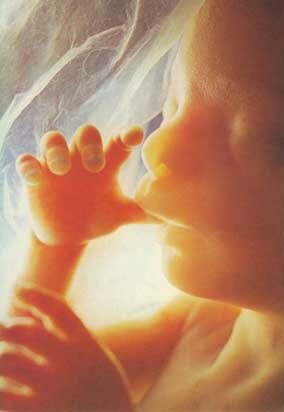 The key is the point at which the foetus becomes a living human being and has the right to life. That is why the time limit is central to the argument. Some believe that the foetus has the right to life from conception, others debate the point at which it develops into a sentient being. This is a moral and medical issue as much as a religious or philosophical one. I agree that it isn't logical to advocate freedom at the same time as denying the right to life to others. Liberty only exists if basic human rights are protected. You have to live in order to exercise freedom. None of us would be here if we were terminated at any point of our development. First of all, I'd say that the terms "pro-choice" and "pro-life" are not helpful. They are politicised terms that carry the assertions of each sides argument (that the other side is "anti-choice" or "anti-life/pro-death"). These terms simply serve to distort debate on that subject. Abortion amounts to a stark equation: the suppression of a child's right to life in order to satisfy a woman's "right to choose". In accepting the "right to choose", you make children mere chattels of their mothers, to be disposed of if the mother deems fit. Even members of the "pro-choice" lobby seem to accept this equation by accepting that there should be time limits as to when an abortion can be conducted. The real question therefore is at what time the foetus becomes a child. Current thinking from the medical profession (and politicians - remember Michael Howard's remarks in Cosmopolitan magazone before the election?) is that this is time limit is defined by the point at which a child can survive outside the womb. Personally I'm uncomfortable with even this distinction and think the time limit should be considerably earlier. It's quite telling that even the man who led the legalisation of abortion, Lord Steel, agrees. That says a lot about the current incidence and causes of abortions. We are in total agreement, James! It seems that Fiona Pinto is with us too. Sadly a lot of liberals and libertarians, inside and outside the party, take the "chattels" argument. Reducing the time limits could lead to the return of back street abortionists and the butchery of pregnant women. Yes, I agree with restricting and ending abortion but I disagree with your last point about the reduction in the time limit leading to a return to backstreet abortions. If implemented properly, restricting abortion would not lead to backstreet abortions. The public are supportive of restriction and would be even more so if more information was available about the reality of abortion and if there was more support for women continuing with pregnancy, adoption and fostering was promoted especially for the couples who can't have children, and there was a proper crackdown on anyone breaking the law. If the Government can put vast amounts of money into any number of public health projects, the Olympics, campaigns about stopping smoking, then it can surely put energy into providing information about why restriction of abortion is essential. At the end of the day, if abortion is wrong then it can't be right to let it happen just because unscrupulous people might do it otherwise. If that were the case we'd have to legalise every criminal activity. Clearly, any person putting a woman's life at risk should be dealt with with the full weight of the law. I'm staunchly opposed to abortion in all cases where the life of the mother is not at risk. It is my belief that the time at which the baby might be deemed 'alive' is irrelevant – what matters is its potential to contribute to the human race. That said, it would be foolish to ban abortion, or lower the time limit to a level unacceptable to women. At all costs, we must avoid a return to back-street abortions and needless deaths. Knowing as I do that my moralising stance rarely generates agreement, I support the 'full, unbiased information' approach. And a reduction in the time limit, of course, although I don't know enough to say where to put that limit. How about making adoption easier and better? Surely that would please pro-lifers like me AND pro-choicers. Except if you look here you will find that Liam (unsurprisingly) voted against the Doctor Assisted Dying Bill, Sam. Very good point, something Ive always supported. Im a pro-choicer but Ive always believed that if someone decides not to go ahead with an abortion but still doesnt want the burden of a child, adoption is a very good way of ensuring that the child can be looked after. I know the adoption system can work and gives the child a second chance. The system right now is rigid and has its weakneses but if the system can be made fairer on local authorities (Thanet takes in more children in care then anywhere else in Kent, despite being one of the most deprived parts of the South East) then I have no qualms at all. Of course the first concern is the child. Murder is murder regardless of the age of the victim. Current law has put back street abortionists out of business but thousands more children have been killed; where is the gain? Women have choice all right - before conception.